Australia - a name synonymous with adventure, beauty and wide open spaces. 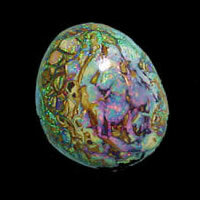 From this unique country comes many beautiful treasures including the national Gemstone of the fifth Continent - Opals. For more than 25 years, I have been captivated by these exquisite natural wonders. This intense personal interest compelled me to undertake gemological studies. Since this time I have been completely absorbed in these gems and have now worked exclusively in the opal business for many years. The opals in my handpicked collection are not only sourced from respected Australian Opalminers, but also from our very own mines. From my headquarters in Queensland Australia, I travel several times a year to Europe to call on my customers. I place great emphasis on direct interaction with my clients and strive to assist them in every way possible. I have developed this site to showcase the limitless possibilities of this very versatile gem. If you have any enquiry's I would be happy to assist; I handle all interest personally.